Pardew, though, ruled out a similar (loan) deal for summer signing Stuart Fleetwood, who scored twice for the reserves in a 4-1 behind-closed-doors friendly win over Barnet on Wednesday. "Fleetwood is in the first-team squad for Saturday at Nottingham Forest," added Pardew. "He's trained very well and got a couple of goals for the reserves on Thursday so at the minute he's too close to the first team to be sent out." Charlton boss Alan Pardew hinted on Thursday that he could allow striker Stuart Fleetwood to leave the club on loan. Oh how I laugh when football managers say one thing then retract it straight away. It’s not as if they’re not reported on radio, TV or even their own official club websites. Why they’re never brought to task about effectively lying to the fans I’m not quite sure but do it they do again and again and again ... ‘Scott Parker will not be leaving Charlton’ etc etc etc as every club in the country can tell you. OK so pardew’s backtrack may be just that – genuine change of mind – or pressure from above – or doesn’t know what the real ‘manager’s plans are – or what the flip he’s doing himself – but don’t these sort of things harm credibility? I believe so and the old say nothing you fool (or something like that) should apply ... sit down shut up isn’t it? 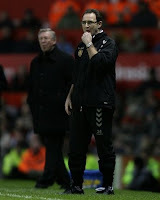 AT least Fergie and O’Neill got to keep to their word ... sort of! 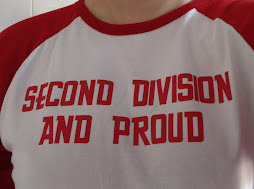 Anyway back to the important thing of division two on this sunny weekend ... The Addicks take on Sheff Wed who seem to either ship or score a bucket load each week – I’m going for a 2-0 home win to put us back up the table ahead of our trip to the sewers in the week. Elsewhere I expect wolves unbeaten run to end at the hands of Reading whilst wins afoot for Ipswich, Norwich, Preston, Forest, QPR and Watford with northern draws at Blackpool and Doncaster – but what do I know. I’m planning a few pints by the river tomorrow so lets hope the sunshine continues on and of the pitch!